Fore those of you wanting to keep your packed weight down, we have the Firebox Nano Ti (Gen2) just 4 oz! 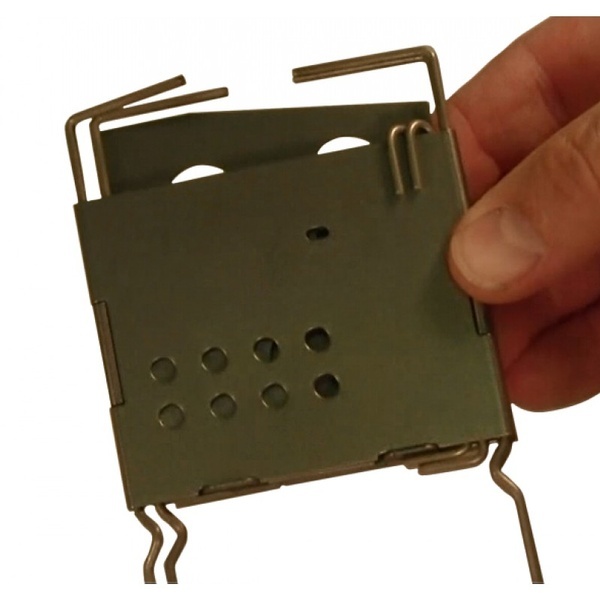 The 3" Titanium Folding Firebox Gen2 Nano Ultralight Backpacking Stove (patent pending) Just got better, We've added position points for the new Nano Sticks (included standard) this makes the Gen2 Nano perfectly adapted to Trangia Spirit Burner use. Allowing a full range of Simmer Ring adjustment and three head space settings ("Sweet spot" head space of 1" in top position). 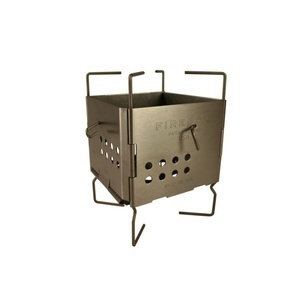 The Gen2 Nano also accepts the Trangia Gas burner attachment. The Nano Sticks nest into the folded Nano in such a way that they cannot fall out. At only 4 ounces, the Titanium Firebox Nano is 3" wide and folds down to a ridiculously thin .25". 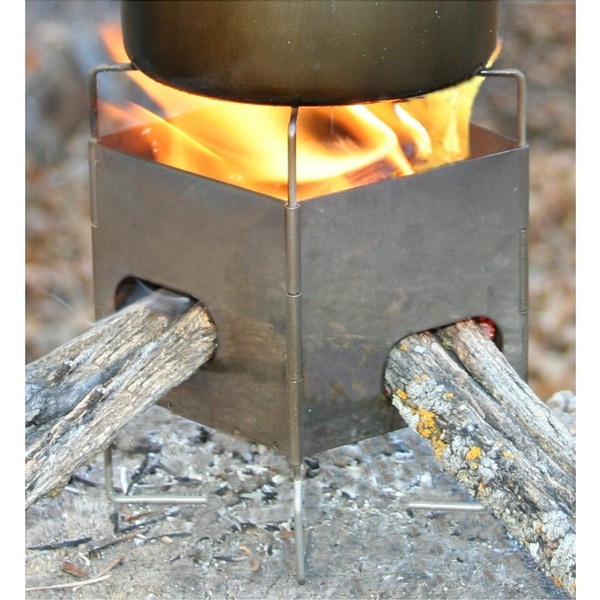 With its proprietary cross-feed fuel delivery system, this Nano stove can bring 2 cups of water to a boil in 3:10 minutes. Even with all this power, the Firebox Nano is one of the smallest wood burning stoves on the market. Like its big brother, the Firebox Nano is hinged and requires no assembly. Made of Titanium with the exception of the leg/potstand wire which is spring tempered Stainless Steel, which is used for it's exceptional high strength. Purchase through PayPal by using the "Add To Cart" button above or use the form below to order the Firebox Stove Ti Nano Gen2 . 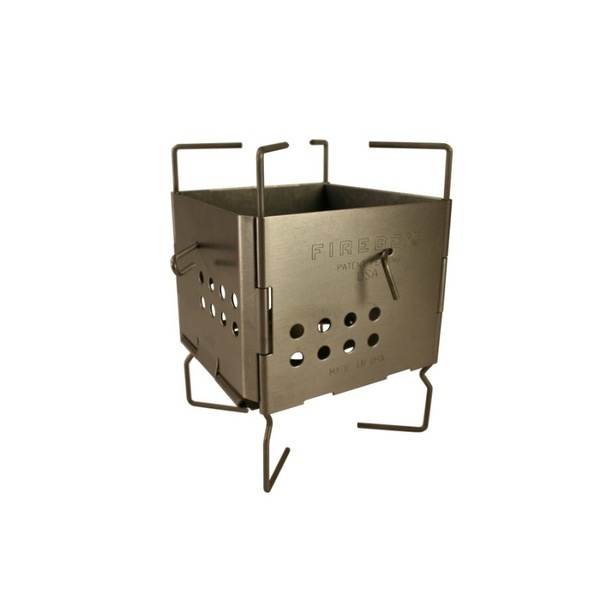 Feel free to contact us if you have any questions about the Firebox Stove Ti Nano Gen2 .